Product code: 362 Categories: Sold Items, Sold Jewellery. This lovely hinged bangle was made in Birmingham 1908 in 9ct rose gold. As you can see from the images it has the most wonderful detail! 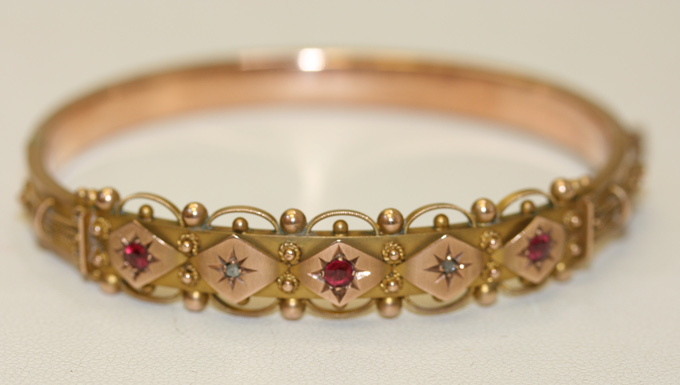 It is set with 3 lovely natural rubies and 2 rose cut diamonds, and being a hinged bangle sits nice and close on the wrist. A lovely antique piece that is in perfect condition.